This week's random blog title brought to you courtesy of my dear friend Alyssa who told me "glad you are on the mend." I hadn't heard this phrase before, but apparently its an old saying to wish someone well. Anyway, I am mending right now after a crazy week last week. I was admitted to the hospital Sunday night before Memorial Day and had gotten 2 emergency surgeries within the next couple of days. What I had thought was 'indigestion' turned out to be a very serious case of desperately needing my gall bladder out. I am home now, recovering slowly, but surely. Thank you to everyone for the prayers and support. It means the world! So needless to say I didnt have too productive of a week, artistically speaking. (But hey, I think I have an excuse!) 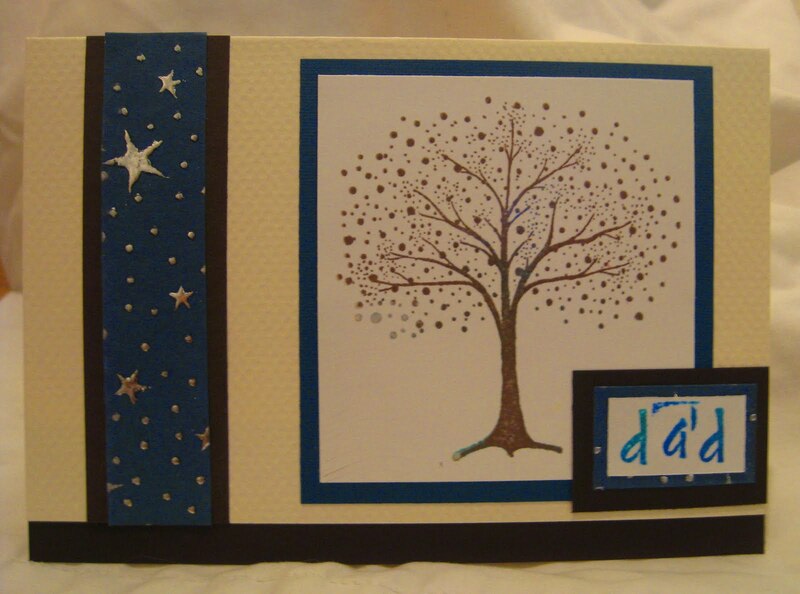 I did however, make a Father's Day card, titled "Blue Star Dad". This card can be purchased at Lisscat Creations.com and remember, 10% of all orders will go back to charity. For right now, we are still raising money to help the Nashville flood victims. So while in the hospital, I started to get overwhelmed with the upcoming very expensive medical bills that would soon be arriving in my mail box. I had just made an agreement with my bosses to cut down my hours at work so that I could have more time to focus on my art. I started to worry a little bit, thinking I would have to pick up extra hours again to pay off these bills, once again pushing my art stuff back. BUT, no matter how big and bad and scary those bills are, I still have it in my heart that God wants me creating these cards. So I'm going to stick with my plan to keep my hours cut, and give my art the much needed time it deserves. I am trusting God that he will provide, and bring me through, even though realistically, it doesnt make sense it my head. Dont let yourself be consumed by your circumstances. Be thankful for your health, your talents, your gifts, the people around you. If all is looking dark, try to turn your efforts to something positive that you love. You dont have to have it all figured out. Just keep believing and keep pushing forward.